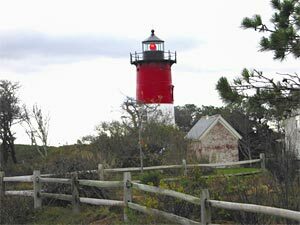 Approximately six hundred parcels of private property lie within the bounds of the Cape Cod National Seashore. At its creation in 1961, the National Park Service announced that it would eventually acquire a portion of the existing dwellings within its confines. In 1985, the Land Protection Plan for the Cape Cod National Seashore was adopted, with definitive guidelines for the use of these private properties. In a nutshell, the Plan addresses private land improved prior to September 1, 1959, permitting it to continue in private ownership, exempt from acquisition by the Seashore. Additionally, the National Park Service offered a deal to homeowners whose dwellings had been built after the 1959 deadline: the Government would purchase their properties at the then market value, minus an annual fee for a 25-year or lifetime use and occupancy permit, at the end of which, the property would revert to the National Seashore. Homeowners who opted to do so signed an agreement for both the sale of their property and the use and occupancy permit. So as you enjoy Cape Cod this summer, bear in mind that we have the authorization of Congress to thank for the establishment of the National Seashore. It provides for the protection and restoration of Cape Cod's natural features, which, combined with its educational programs, continue to preserve one of this country's unique treasures.